MarketJS designs and develop digital signage games for brands across the globe. Our games are tailor-made to your requirements. What are Digital Signage Games? Digital Signage Games are games running on a digital signage system. 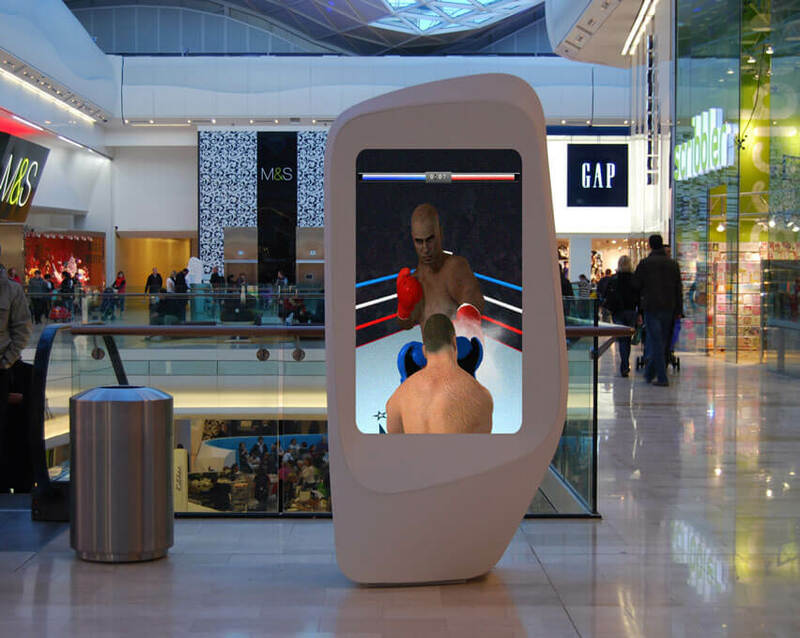 The games typically run on large screens seen in retail outlets, events, subway stations, waiting areas, lobbies and more public areas. Consumers are very savvy and quick to ignore screens. How do we engage them, when there's so much content out there? Delivering small, lightweight and highly engaging experiences make the most sense, given the short time frames that consumers have, when passing by these screens. With the explosive growth of outdoor advertising, digital signage games are every marketer's dream. Combined with our in-house HTML5 technology, the games can be developed very quickly and distributed to consumers instantly. We use HTML5 technology to build these games for you. They are highly optimized and run really well on digital signage devices. We have games that are optimized to run on either portrait or landscape based screens. We've done work for the Scala Digital Signage software, as well as custom digital signage devices that support HTML5 technology. 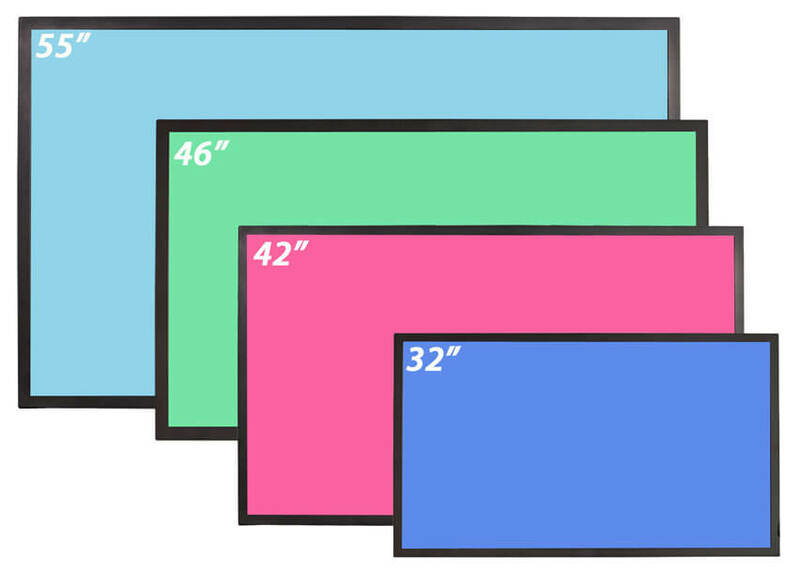 We're also able to port our HTML5 technology into Android compatible digital signage systems. In conjunction with the annual NHRA Drag Racing event, we collaborated with Toyota to build a fun digital signage game for booth visitors. The setup consists of the digital signage, a big computer screen built into a box. Two players step up to the podium and receive one tablet device each. The tablets are connected to the digital signage via a Chromecast device. 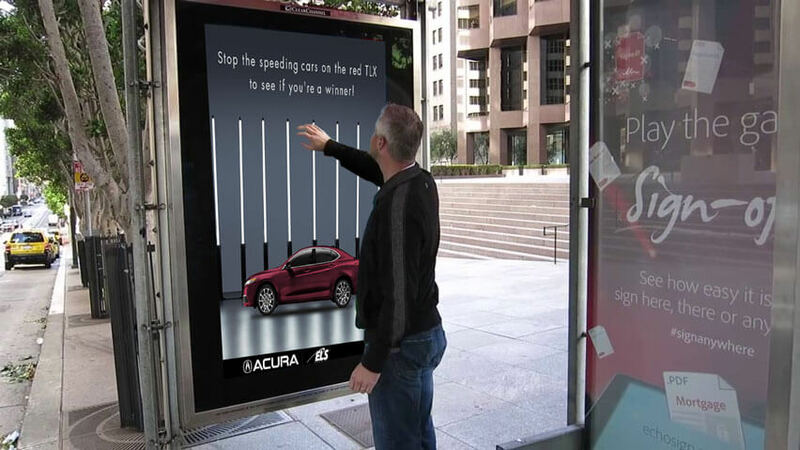 We collaborated with Acura to build a Kinect-based digital signage game for outdoor advertising. Using an interactive HTML5 canvas, the user projects hand movement that is detected by the Kinect device and projected on the large screen. 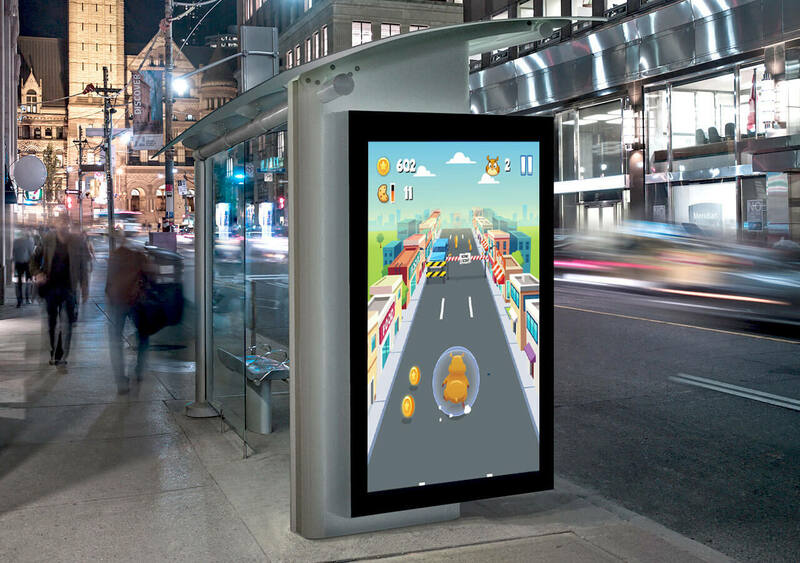 We worked with infamous anime brand, Doraemon to build a game suitable for digital signage on taxis. 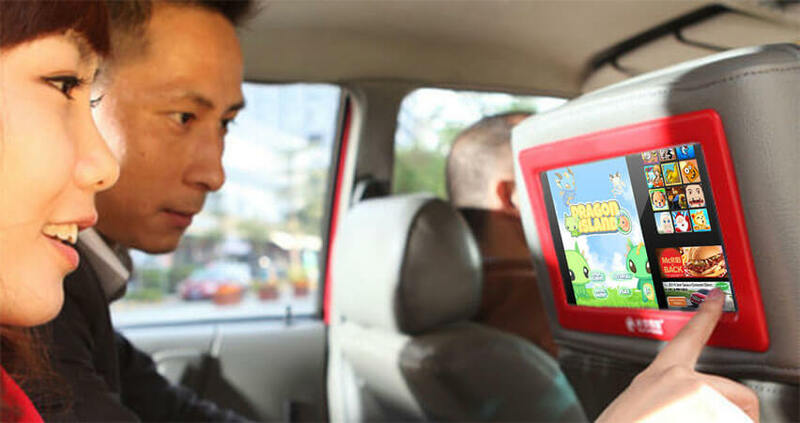 Built entirely using HTML5, the game runs within the taxi's Android-based digital signage system. Passengers are able to enjoy the Doraemon experience from the comfort of their seats via a distribution network of taxis. East Midland Trains, a train company based in the UK approached us to port our HTML5 games into their digital signage system. The games are stored in a local server on board, and served via local wireless connections. Passengers can play the games either on the bigger screen digital signages, or on their own devices via a local web portal. I need digital signage games I need custom-made digital signage games I'm doing some research. Can you help me?